According to the Federal Statistical Office, one in three children in Germany is born into a family of migrant origin. Professor Anja Wildemann, an educationalist from the University of Koblenz-Landau, studies how the multilingual abilities of such children can be utilized in primary schools. Professor Wildemann, in your recent research project “Language Proficiency and Language Awareness”, you were able to demonstrate that multilingualism is a resource. Was that not already known beforehand? Researchers and experts in multilingual didactics like to argue that multilingualism is a resource. However, they tend to make claims or assumptions rather than providing empirical evidence. Some studies carried out in English-speaking countries indicate that multilingual learners have something of a head start over their monolingual peers. What was not clear, however, was whether these studies can be applied one-to-one to German-speaking countries given that multilingualism is acknowledged in a different way in schools for example in Canada. We therefore felt that it was important to ask from a neutral perspective whether children at German primary schools use different languages when they have the chance to do so. And whether they are also able to reflect upon these languages. What did you do to obtain answers to these questions? We worked with software that had previously been developed in an EU project. It contains picture-based stories that are also read aloud in German, English, Spanish, Russian and Turkish, as well as being written down. We used this material with 400 children in year 4 at schools in the states of Rhineland-Palatinate and Baden-Württemberg. We had the children view one of the stories on the computer, working in pairs. At certain points in the story, we then asked them questions such as: “Why do the sentences in German contain more words than those in Turkish?”. What we found is that some German-speaking primary school children express themselves at a high level in metalinguistic terms. However, multilingual children do so more often, and on average their comments are at a higher level. For example, children who speak Turkish as well as German noticed that two words are used for an article and a noun in German, whereas the article is attached to the noun in Turkish. As such, they demonstrated linguistic analysis skills. You propose that these skills be utilized in schools. Why do you believe that this is important? All pupils will benefit if we utilize and promote language proficiency and language awareness with respect to multilingualism. Because he had taken part in our study, a monolingual primary school pupil for example became aware that although the verb is placed in second position in German, this is not the case in most other languages. For instance, in German we say “Ich gehe morgen ins Schwimmbad” rather than “Ich morgen gehe ins Schwimmbad”. Full of amazement and fascination, he then remarked: “I thought that we (the German speakers) were the main ones, but actually we are the exception.” Such linguistic comparisons are explicitly recommended by the Kultusministerkonferenz (the Standing Conference of the Ministers of Education and Cultural Affairs of the Länder in the Federal Republic of Germany), and the skills they require have a positive impact, not least when it comes to learning to read and write. Many teachers – especially those who are monolingual – will ask how they are supposed to promote multilingualism. It would already help if children had the opportunity in the classroom to compare words and examples of word formation because this would give them insights into the linguistic structures. Materials such as the CD we used during the study are freely available and self-explanatory, and can therefore be used by teachers directly in the classroom. What is more, greater cooperation between teachers of German, foreign languages and heritage languages would be desirable. This still happens too rarely in practice, unfortunately, no doubt partly due to the prevailing circumstances: many teachers of heritage languages work in the afternoons or at different schools and do not have enough time for joint lesson planning. You are currently launching a research project in which you are developing a course of further training that addresses the issue of language in German lessons. What do you hope this will achieve? Over a period of twelve months, we plan to develop concrete and viable proposals for multilingual lessons and to provide teachers with ideas about how to utilize and promote the language proficiency and language awareness of their pupils in the context of other lesson topics. Content will be developed and made available in dialogue with teachers so that their needs can be taken into account. Between the attended seminar phases that take place roughly every two to three months, teachers will always have the chance to test out the ideas in the classroom and to document and reflect upon their experiences. By regularly assessing their specialist didactic knowledge when it comes to addressing language issues in German lessons, and comparing it to the knowledge of a control group, we will be able to reliably identify any changes. In addition, we plan to explore the extent to which German lessons with a multilingual focus can influence the language awareness of pupils, and by extension their achievements. Photo (detail): © Private Anja Wildemann has long been interested in questions of heterogeneity and individuality in childhood language development. As an educationalist, she initially worked primarily with deaf children. 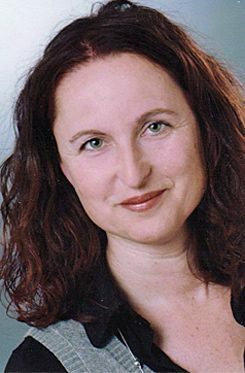 When she was a junior professor at the University of Vechta, she focused on didactics in German and other languages, working closely with foreign language teachers. As a professor of primary school pedagogy at the University of Koblenz-Landau, she has specialized in questions of multilingualism since 2013. The project Language Proficiency and Language Awareness was conducted from 2013 to 2016, while the project More Languages in German Lessons will run from 2016 to 2019. Both projects were/are funded within the framework of the Research Cluster on Language Education and Multilingualism of the Federal Ministry of Education and Research (BMBF).